Or to use terminology you might understand, without it, all other amendments are indefensible. "It" is the second amendment. I'm proud to say I picked up my new pistol yesterday, and will be taking it to the range this weekend. I bought the Hi-point CF 380 after much deliberation. But it was shipped fast, hassle free, and I credit http://www.hipointpro.com/ as a good seller. Given silvers current volatility, I might update this post later with financial news. But for now, the rest of this post is about my new gun! A Hi Point CF 380. It is not quite the conceal and carry weapon I was initially looking to buy. That said, I knew what I was buying, and its no surprise just how comparatively heavy this gun is. Its also larger than a subcompact, 6 & 3/4" long. 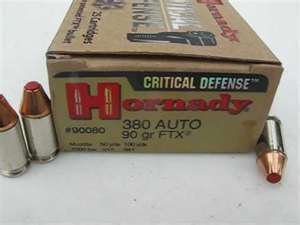 Someone facing down this weapon would not be thinking "Pfft... its just a .380". It works well enough for waistband carry with jeans, and will fit inside the larger pockets of my walking shorts (but not the pockets of the jeans). When placed loose in the pocket, its pretty obvious from the weight and size of the pistol that you are carrying a firearm. I will HAVE to invest in a holster of some sort to conceal/carry comfortably during the summer. I've currently got the 8 round magazine loaded with Gold Dot Speer 90grain JHP. I also purchased some cheap FMJ round's for training. Ideally, I'll be able to find some critical defense or other Gen 2 hollow point to replace the Gold Dot with. Improved penetration thanks to innovative tech.